Highlighting a wonderful friendship between a nine-year-old girl named Sarah and her ninety-three-year-old neighbor named Granny Brannigan, Ted Landkammer’s wonderful tale will surely capture the hearts of many. 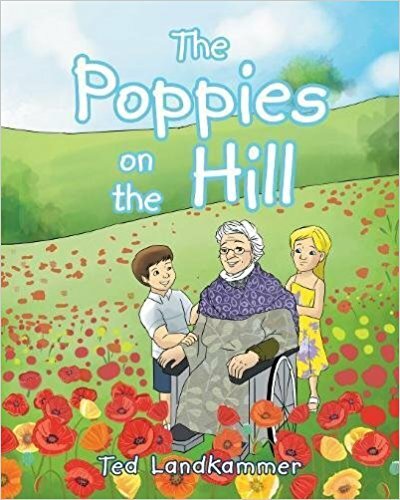 When little Sarah and her friends discover that Mrs. Brannigan got sick, she and her friends decided to plant poppies on the hill to make her feel a whole lot better. This display of kindness and selflessness through the actions shown by these children is proof that age is not a limitation for people to do good things to other people. Foreword Clarion’s Drema Drudge applauds Landkammer’s gracious and heartwarming narration as The Poppies on the Hill celebrates the beauty of intergenerational friendship. She highlights Sarah’s sense of independence as she fulfills simple errands to help Granny however she could. Not only that, the review celebrates how the young girl learns the value of empathy and compassion towards the sweet old lady and the people around her. Drudge notes how “heavy themes of loss and disability are tackled with grace.” The wonderful review also commends the wonderful illustrations that breathe life into the pages of Landkammer’s heartwarming story. Indeed, The Poppies on the Hill is a tale worth sharing among young readers as well as the young at heart. Copies of Ted Landkammer’s bittersweet tale is available at Christian Faith Publishing https://www.christianfaithpublishing.com/books/?book=the-poppies-on-the-hill and Amazon https://www.amazon.com/Poppies-Hill-Ted-Landkammer/dp/1640285385/. Published by: Christian Faith Publishing Inc.
Ted Landkammer is a father of three and a grandfather of six wonderful grandchildren. For the last 30 years, he has told his kids and now his grandchildren great stories to remember. Today, he channels his talent for storytelling by sharing great stories with other children.